Place garlic cloves, anchovies, ghee, lemon zest and juice, and parsley in the bowl of a small food processor. Process until fairly smooth. Season with salt and pepper, and set aside. Heat 2 tablespoons olive oil and Maldon salt in a large skillet over high heat. 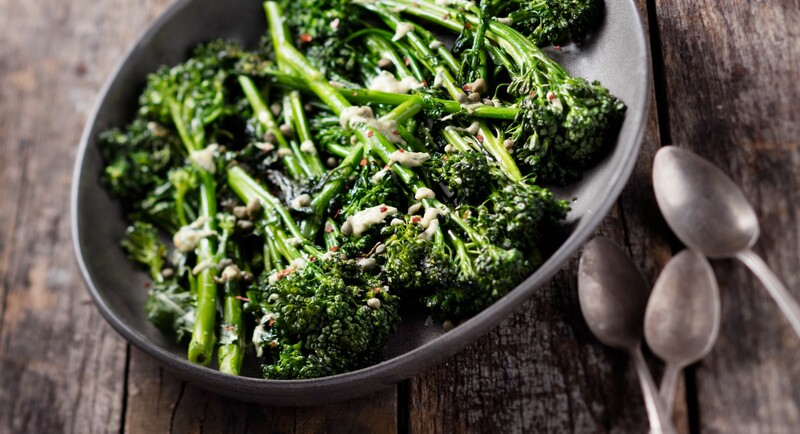 Add broccolini and sauté, stirring, 5 minutes, until cooked and slightly blistered, yet still crunchy and bright green. To serve, drizzle with anchovy sauce and sprinkle with capers and red pepper flakes.